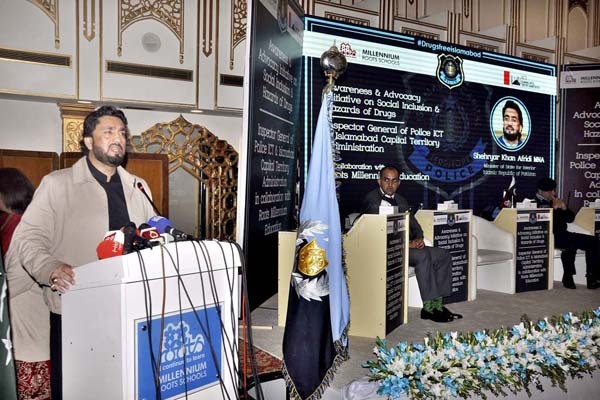 ISLAMABAD, Jan 19 (APP):Minister of State for Interior Shahryar Afridi Saturday said the government would make all out efforts to make the country free of the menace of drugs. Addressing an event in the federal capital, the minister said drug peddlers were playing with the future of youth. So-called noble persons behind the dirty business of drugs, however, he was committed to root out the menace, he added, according to a private news channel. The minister said there would be no compromise over the drugs trade, whatsoever how much the mafia was powerful. The people involved in the business would be taken to task at all costs, he added.